Looking for an activity for the Easter Holidays? 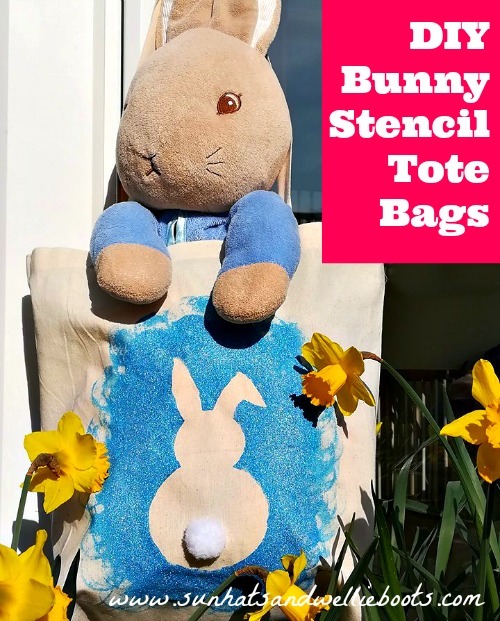 These DIY Bunny Tote Bags are a fun & simple activity for kids of all ages to make, & a great way to upcycle plain canvas bags. 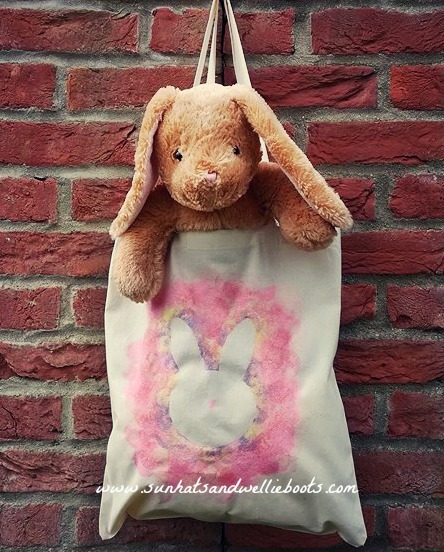 We're getting ready for oodles of Spring adventures & these bunny bags are a perfect addition to any trip. 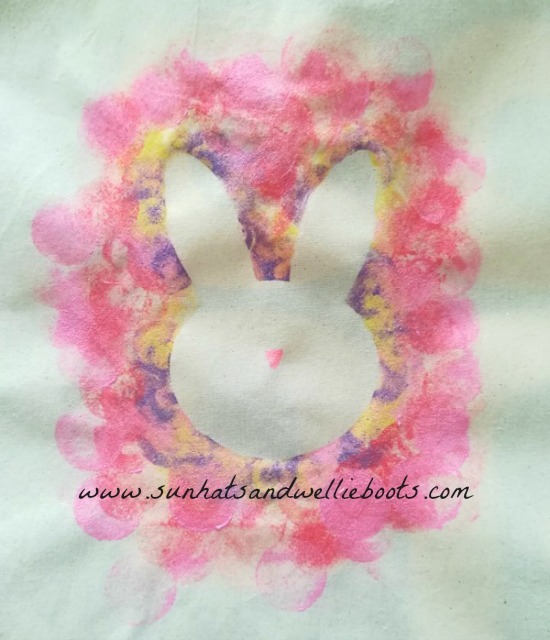 They brighten up any day with their gorgeous bright & bold bunny design, & roll up small to fit in a pocket when not in use. 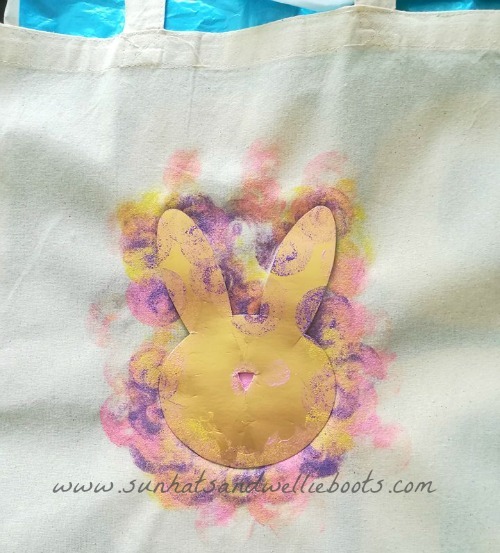 Want to make an adorable bunny bag? Here's how to stencil your own. 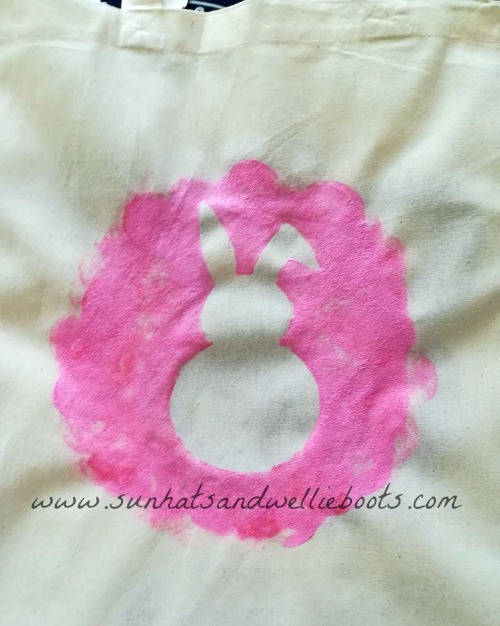 The stenciling process is super simple, I've made these bags with young preschoolers before & they loved sponging the paint over their template. It's a great sensory activity too. To make the bunny stencil you can either draw your own rabbit design onto the cereal packet/card, or search "rabbit template" on the Internet & just print off a template you like. Once we'd cut out our card bunnies we were ready for the paint! 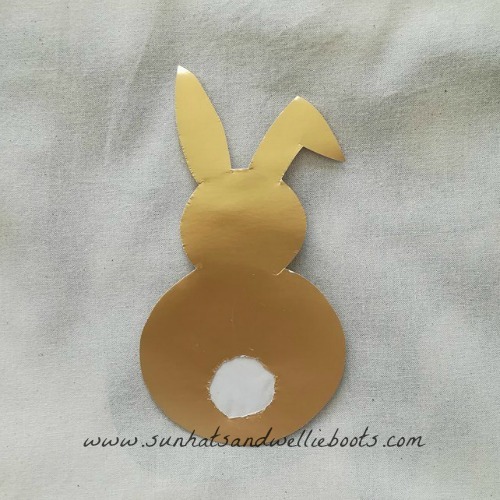 We wanted to create a little nose on our bunny face stencil so we carefully folded the card in half & cut out a triangle in the centre so the paint could come through. Before you start painting remember to slide a plastic bag, or sheet of card into the inside the tote bag to prevent any paint seeping through to the other side. Then dab your chosen paint over & around your stencil. Younger children may need a hand to hold their template in place while they sponge their paint on. You could add one colour or a whole host of colours. What's great about these bags is that each one is unique! 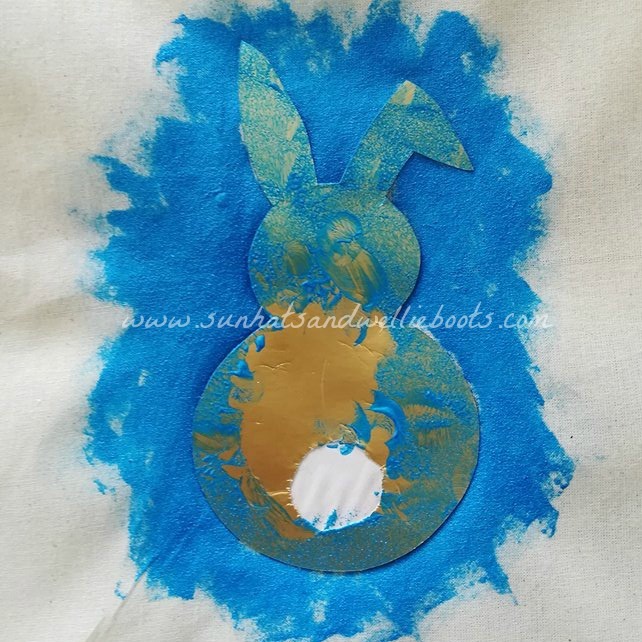 Once you're happy with the amount of paint you've added, carefully peel away your bunny template & then leave to dry. 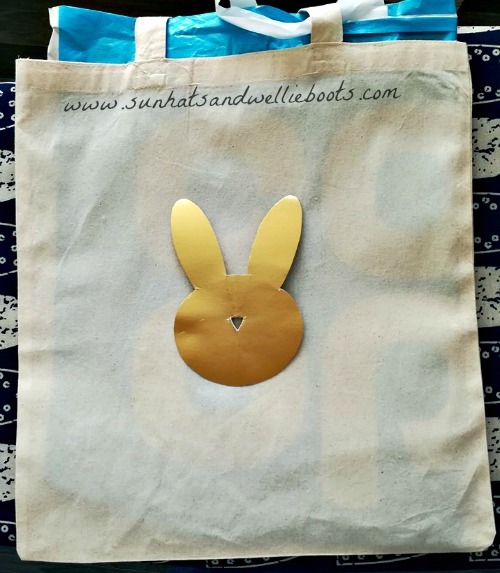 To add to the cuteness of these bags we used a hot glue gun to attach a pompom tail to our bunnies. If you have better sewing skills then me then I guess you could sew on a tail instead, but the glue gun meant the tail was added super quick & our bags were ready to go! 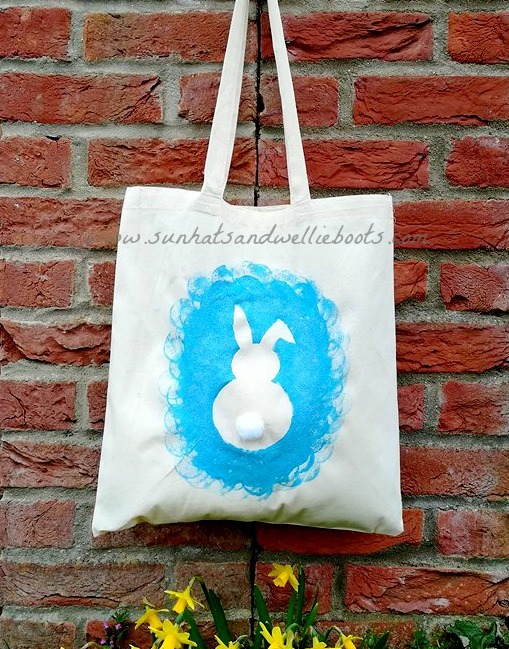 The kids I made these bunny bags with absolutely loved them, & were so proud of their designs. As we used acrylic paints it means the designs are waterproof so they should withstand any April showers too!